The graduation ceremony was held at Vodacom’s Midrand campus and acknowledged the hard work and determination of the graduates throughout their time at Vodacom. All 75 Graduates were absorbed in to various Vodacom areas. “The purpose of this programme is to accelerate students’ career paths by exposing them to the ins and outs of the corporate world. In doing so, we as Vodacom can allow them to gain high level business exposure”, said Takalani Netshitenzhe, Chief Officer: Vodacom Group Corporate Affairs. For these graduates, the journey to discovering an exhilarating and diverse career in telecommunications at Vodacom began when they sent their CVs to discover@vodacom.co.za. They then went through a series of steps that helped to identify how passionate they were about being key drivers in moulding their careers. Vodacom highlighted the importance of this process as it allowed it to gain valuable insight into what motivated the young future leaders. Through interviews, assessment centres, group assessments and presentations – the graduates were given a sneak peek at the cogs that keep the Vodacom wheels turning. The final step saw 75 graduates receive an offer, which was the key to advancing their careers. Maphuti Setati, who joined the programme in 2016 said: ‘I’m now a senior technical officer at Vodacom, in the Network Management Group. The programme has been challenging, but was also fun’. The two year programme gave the students the opportunity to discover themselves as well as the industry they were looking to immerse themselves in. They were afforded the chance to experience all aspects of the business, from cross-functional rotation in the 1st year to customer-facing inductions in their 2nd year. All of which worked towards preparing the graduates for their careers at Vodacom. With an absorption rate of 100, the programme achieves its objective of overseeing the growth of young South Africans, from grass roots level. 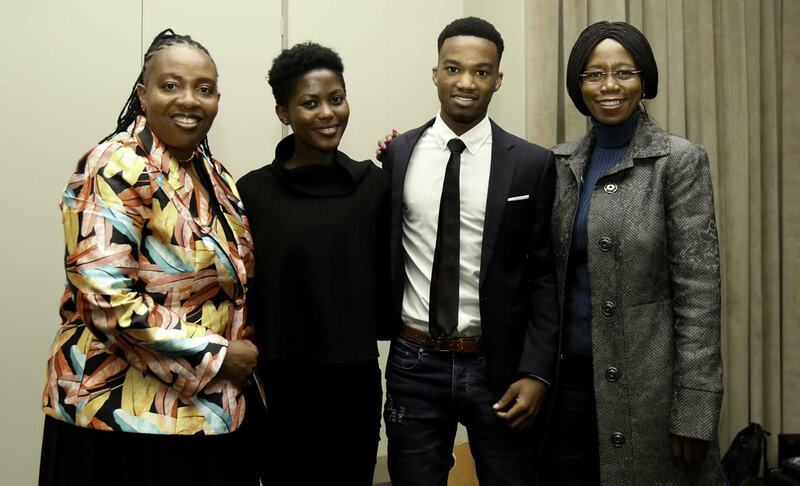 Sphiwe Kabini, a Bcom Information Systems graduate from North West University expressed that ‘ the journey from bursar to Discovery Programme Graduate has unearthed leadership skills that she never thought she had. “The Programme has also helped polish some few skills that I already possessed,” she said. The Discover Graduate programme was launched in 2015 and seeks to invest in the integration of bursary students into permanent employment positions within the leading digital communications corporate. With the overarching objective being the facilitation of employment and the empowerment of the South African youth through skills development. Students experience rotations that see them move from department to department within the organisation. The result – a challenging and rewarding experience that allows ambitious graduates to work alongside some of the industry’s leading experts, all of which comes together to form the foundation that will shape their futures.